In Denver, nearly 1,800 pounds of turkey and more than 950 pounds of nonperishable items were collected during the two-week drive, which ran from November 1 to 15. Locally, the Thanksgiving Drive benefitted Denver Rescue Mission, a nonprofit organization that helps change the lives of people in the Denver area who are experiencing homelessness or addiction through emergency services, transitional programs, rehabilitation and more. David Weekley team members delivered the collected items to Denver Rescue Mission to distribute to families in time for the holiday. 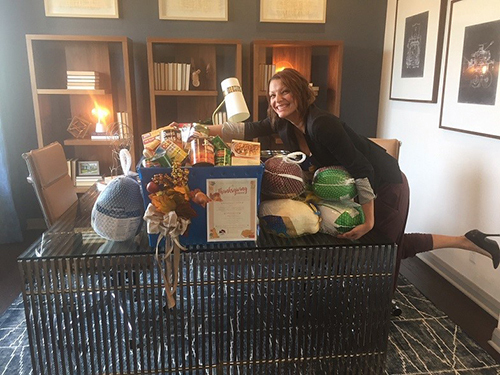 Team members from David Weekley Homes donated more than 2,700 pounds of turkey and nonperishables to Denver Rescue Mission to benefit families in need.